Euro continues moving upwards. We think, today the price may reach the target at 1.3400, form a correction towards the level of 1.3200, and then continue growing up to reach the target at 1.3650. This ascending structure may be considered as the fifth wave; its internal structure may help us to define the exact point where it will be completed. Pound is still forming an ascending structure. We think, today the price may reach the target at 1.5575, form a descending correction towards the level of 1.5400, and then continue growing up to test the level of 1.5575. Here, the pair may consolidate for a while, move upwards to reach the next target at 1.600, and then start a correction to return to the level of 1.5600. Franc continues moving downwards. 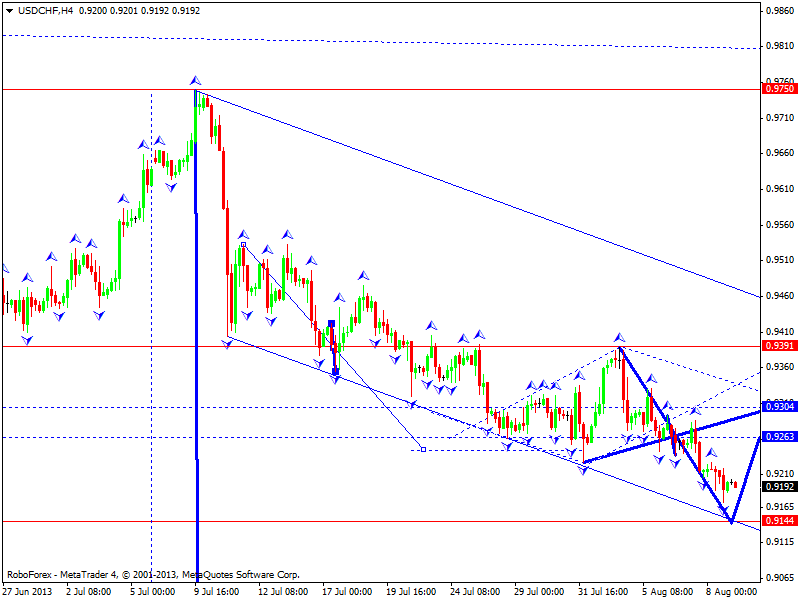 We think, today the price may reach the target at 0.9150 and then start a correction towards the level of 0.9260. Later, in our opinion, the pair may continue falling down to reach the level of 0.9050. 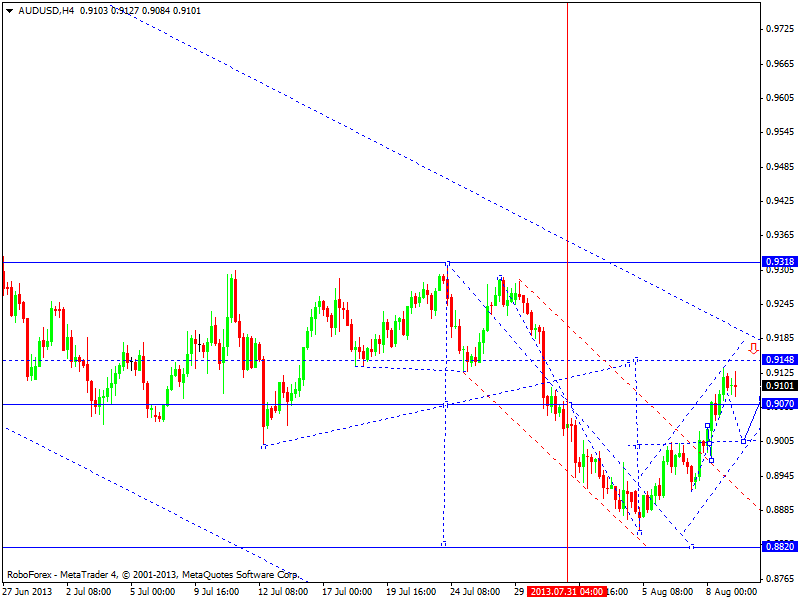 The USD/JPY currency pair is still forming a descending structure. 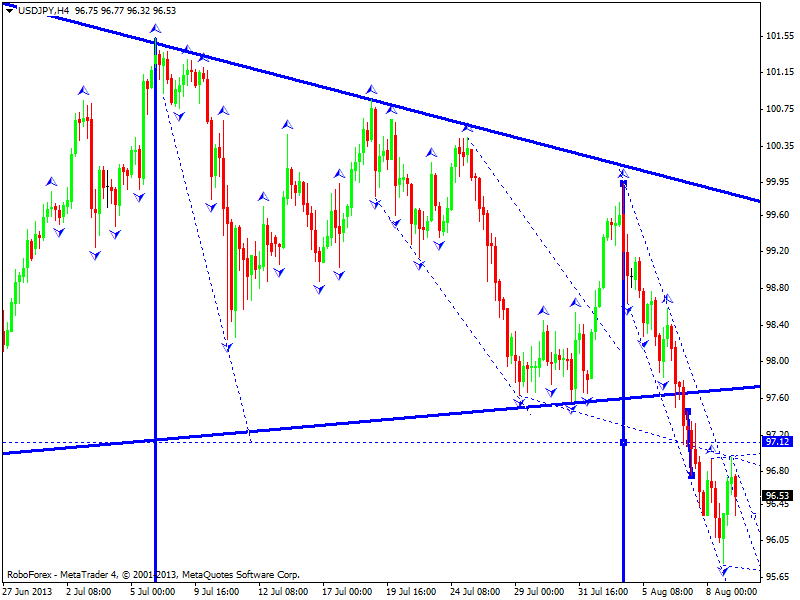 We think, today the price may reach the level of 95.00 and then form a correction towards the level of 97.00. Later, in our opinion, the pair may continue moving downwards to break the level of 95 and reach the target at 93. 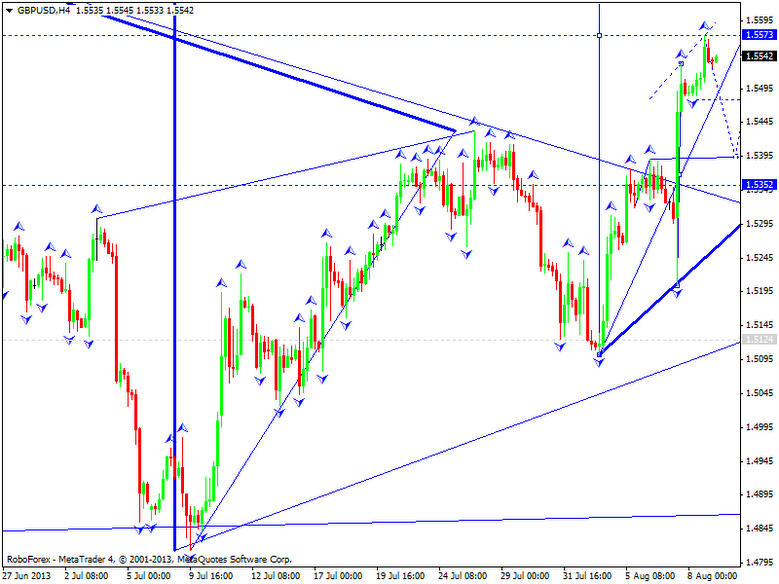 Australian Dollar continues forming an ascending structure; the market has already reached its local target. We think, today the price may form a correction to return to the level of 0.9000 and then start one more ascending structure, the fifth one, with the target at 0.9150. 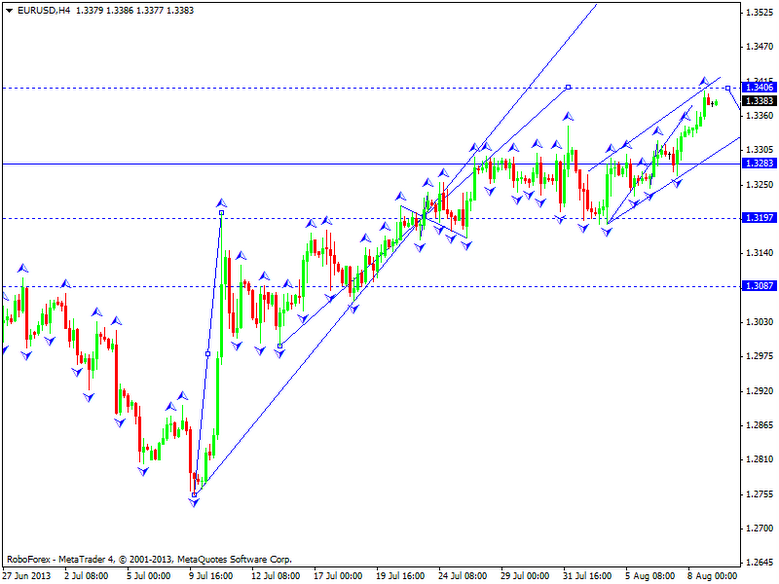 Later, in our opinion, the pair may continue moving downwards to reach the next target at 0.8820. 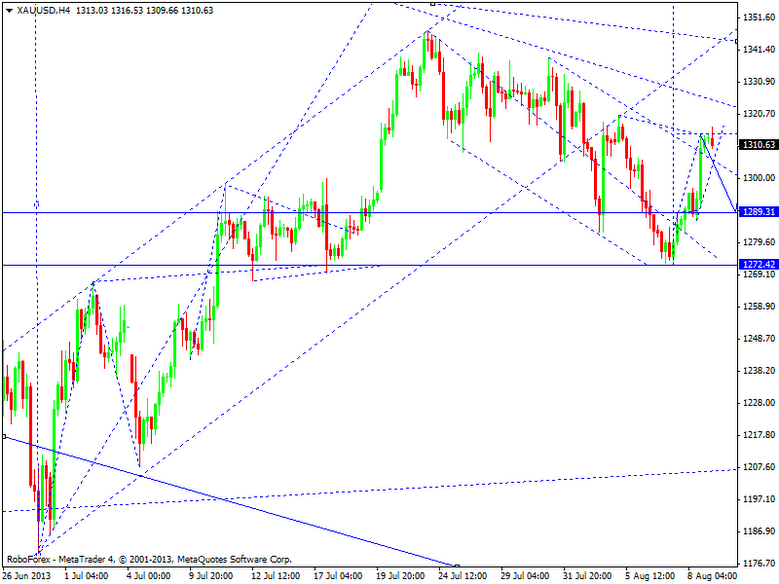 Gold extended this ascending wave; it may be considered as the start of the fifth structure. We think, today the price may form a correction to return to the level of 1290. Later, in our opinion, the instrument may start another ascending structure to reach the target at 1360 and then continue falling down.